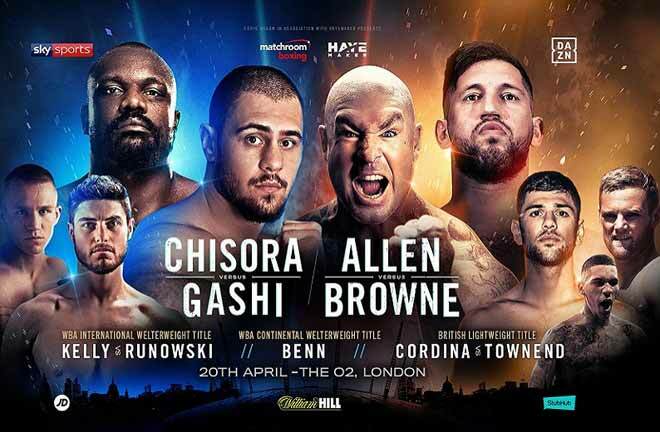 With news of David Haye’s comeback official, it’s time to take a look back, and forecast one of the best possible cruiserweight matches of all-time. It’s easy to forget how successful “The Hayemaker” was at cruiserweight given the mixed results of his heavyweight stint. Widely regarded as one of the best British boxers of his generation, Haye turned pro in 2002 and would win his first 10 bouts by knockout before suffering his first setback, and only defeat at cruiserweight, to Manchester’s Carl Thompson. Haye would soon rebound with a single right hand that separated Ukrainian boxer Alexander Gurov from his senses to capture the European cruiserweight crown in 2005. 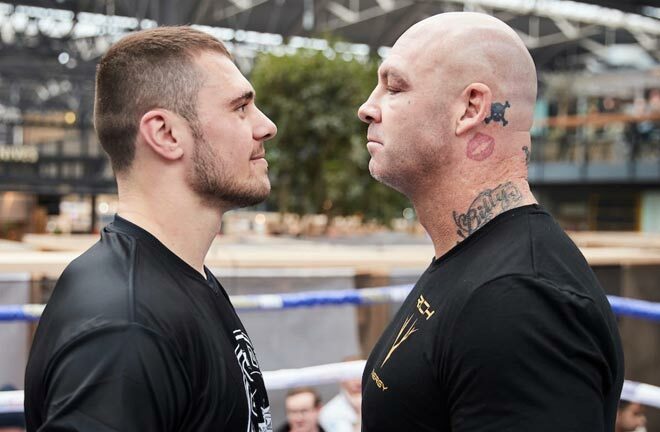 He then challenged Jean-Marc Mormeck for the WBC and WBA cruiserweight championships. What ensued was a highly entertaining all-action fight where Haye had to get off the canvas to win. He then famously pounded Enzo Maccarinelli into submission to unify the WBO, WBC and WBA straps. 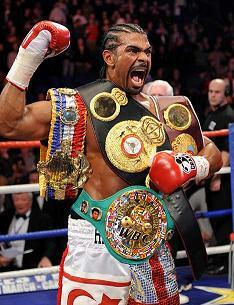 Haye has been compared to boxing legend and fellow cruiserweight superstar Evander Holyfield. 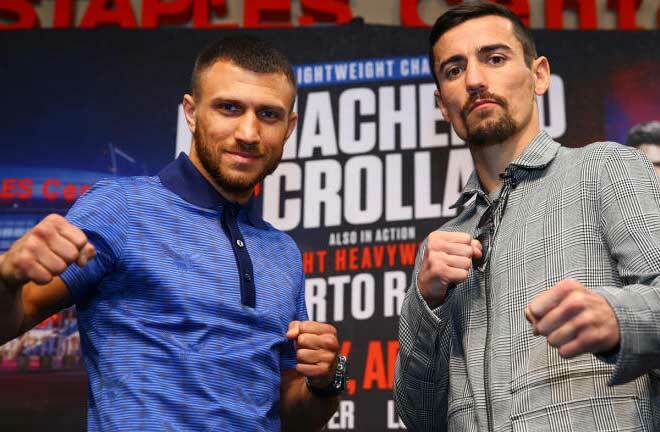 Both fighters are widely regarded as two of the finest cruiserweights to ever lace up gloves. The former 200Ib titlists were utterly dominant during their reigns in the late 1980s and early-to-mid 2000s, respectively. Both men would eventually pursue glory in boxing’s flagship division with the ‘Real Deal’ cementing his legacy by becoming a four-time world heavyweight champion while Haye would add the WBA title to his own hardware collection. All of this has fueled spirited debates on the outcome of a potential bout between these gladiators in their primes. Interestingly enough, this fantasy matchup, albeit far from its ideal circumstances, almost came to fruition when Holyfield called out the then WBA heavyweight titlist following his win over Frans Botha. Haye had just dispatched the durable John Ruiz two weeks earlier. Everything seemed to be set for an epic rumble but there were two problems—1) Holyfield was already 47 years old and 2) Haye was more interested in fighting the Klitschko brothers. Let’s suppose that we level the playing field a bit by erasing the nearly two decades age difference and teleport the 2005 version Hayemaker to 1986. Haye would face a surging Evander brimming with confidence after wresting the WBA title from Dwight Muhammad Qawi in what has been considered one of the best cruiserweight bouts of all-time. This would be a fight of attrition between two evenly matched pugilists, with Holyfield’s clear advantage in the chin department and Haye’s hand speed. Head-to-head, these aggressive boxer-punchers are marvelous physical specimens with unique and highly capable skill sets. A golden opportunity to unify the division and achieve boxing immortality would await the victor. The prefight buildup presents Haye’s brash personality taking center stage to Holyfield’s quiet and unassuming demeanor. They meet in Atlantic City for the champ’s first title defense following that historic win just six months earlier. The two adversaries share an intense stare down as the referee gives preliminary instructions. Round One: The opening bell sounds and Holyfield storms out driving Haye back with his early aggression. It’s a cautious start for Haye, who is content to dance around the ropes, preferring not to engage, while trying to figure his man out. Holyfield pumps the jab and soon unloads with a glancing overhand right but Haye rolls with the punch minimizing its effect. Haye soon responds with a rapid fire combination that stops Holyfield cold in his tracks as he is forced to cover up. However, Holyfield is undeterred and continues to press forward taking round 1 on activity alone. 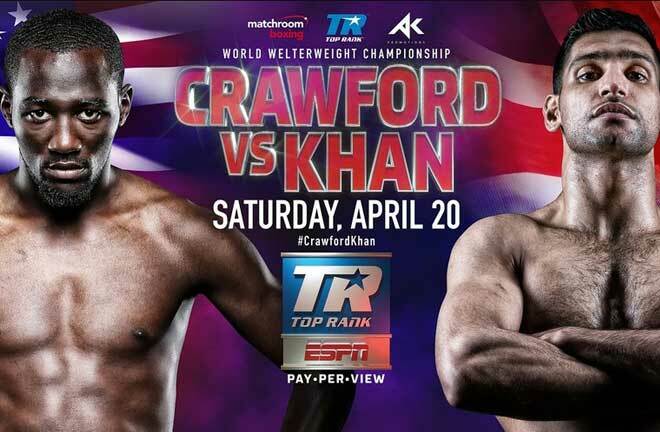 Round Two: Round 2 begins in much the same manner with Holyfield pressing the action early. Haye is forced to get on his bicycle in order to create space. A jab to the midsection followed by a right hook to the head stuns Holyfield. Holyfield is driven back to the ropes with Haye in hot pursuit. Instinctively, Holyfield battles back and catches a lunging Haye with a perfectly timed right hook of his own to the temple. Haye’s legs turn rubbery as his forward momentum nearly propels him through the ropes. 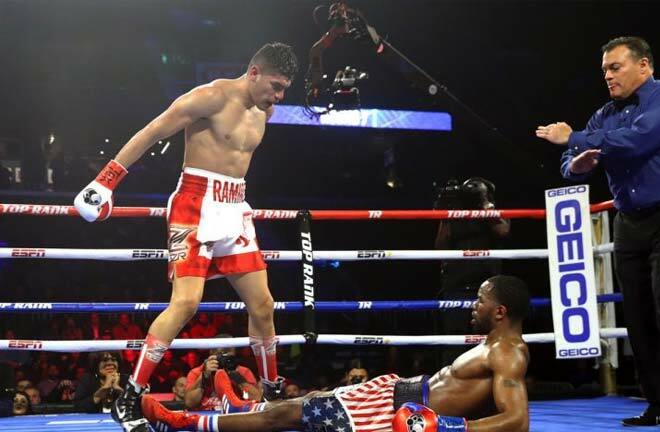 The referee rules it a knockdown and administers a standing 8 count. Haye manages to avoid further damage but Holyfield takes this round too. Round Three: Haye takes this round off to clear his head as Holyfield gives chase. Haye goes into complete survival mode and the audience grows restless as a chorus of boos erupts due to the lack of action. Holyfield finally succeeds in trapping his elusive opponent against the ropes but Haye parries the attack well and escapes unscathed. Neither fighter does anything particularly noteworthy in this round due to Haye’s negativity. Round Four: Sensing that the fight is starting to slip away, Haye begins to reassert himself. Haye meets Holyfield head-on in the center of the ring where he plants his feet and unleashes a lightening quick double jab that violently snaps his foe’s head back. Holyfield goes into a temporary defensive shell which allows Haye to unload with a series of hard body shots followed by a jarring uppercut that splits the Olympian’s guard. Haye keeps Holyfield guessing throughout most of the round with feints and pot shots. Holyfield continues to stalk but cannot get past those blazing hands. Round Five: Haye attempts to pick up where he left off by continuing to throw hard single shots. Holyfield does a beautiful job of slipping many of the punches by moving his head, while looking for opportunities to counter. The fighters become entangled after a spirited exchange but it is Holyfield who capitalizes on the break by unleashing a sneaky uppercut to Haye’s unsuspecting chin. Haye staggers forward and Holyfield delivers a chopping right hand to the back of the head that drops him to both knees. Haye shows tremendous heart in beating the count and somehow weathers another fistic assault before the round ends. Round Six: Holyfield smells blood in the water and comes out throwing punches with bad intentions. Haye looks very unsteady, his balance is poor, his feet are planted too far apart and he is over-committing on his shots. However, the Bermondsey-born fighter’s freakish power shines through when he connects with a right cross that lands flush depositing Holyfield on the seat of his trunks. Holyfield does not appear to be seriously hurt but must now respect the power of his adversary. Round Seven: Haye is visibly gassed and beginning to struggle with the fast pace of the fight, not to mention, the relentless pressure that Holyfield is applying. His punches have lost some of their snap and he is carrying his hands dangerously low. Holyfield traps him against the ropes and lands some serious body shots that force Haye to clinch. Holyfield is doing a good job of smothering Haye’s power and is really starting to rough him up on the inside. The stakes increase when an accidental clash of heads opens a nasty gash over Haye’s left eye that only magnifies the drama as the largely untested fighter ventures deeper into unchartered waters. Round Eight: Holyfield presses his advantage and begins to mix punches to the head and body of a fading Haye. Haye fires back but his punches are wide and seem telegraphed. Holyfield suddenly steps back and delivers a devastating straight right that lands on the button and buckles Haye’s knees. Hayes struggles mightily to right himself but eats a huge uppercut in the process that causes his body to slump over. The referee does not bother to count and waives the contest off. 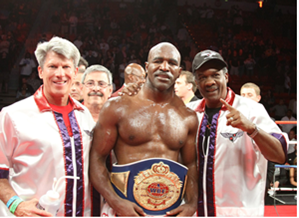 Holyfield led on all scorecards at the time of the stoppage. Despite the rather lopsided loss, Haye gives a good account of himself against the consensus number one 200-pounder in the world. The performance also answers some key questions about his heart and chin. Holyfield would go on to dominate the division and become the first universally recognized World Cruiserweight champion by defeating Carlos De Leon. Holyfield’s eventual move to heavyweight would signal a “passing of the torch” to Haye, who would start his own reign of terror within the division.